The share of applicants granted full equivalence in Germany varies widely among the individual professions and among the professional groups. The proportion of applicants who received full equivalence is especially high in the sales sector. On the other hand, the success rate in the law and administration sector is extremely low due to significant differences in the law and administration systems among the countries. The share of applicants granted full equivalence in Germany varies widely among the individual professions and among the professional groups. 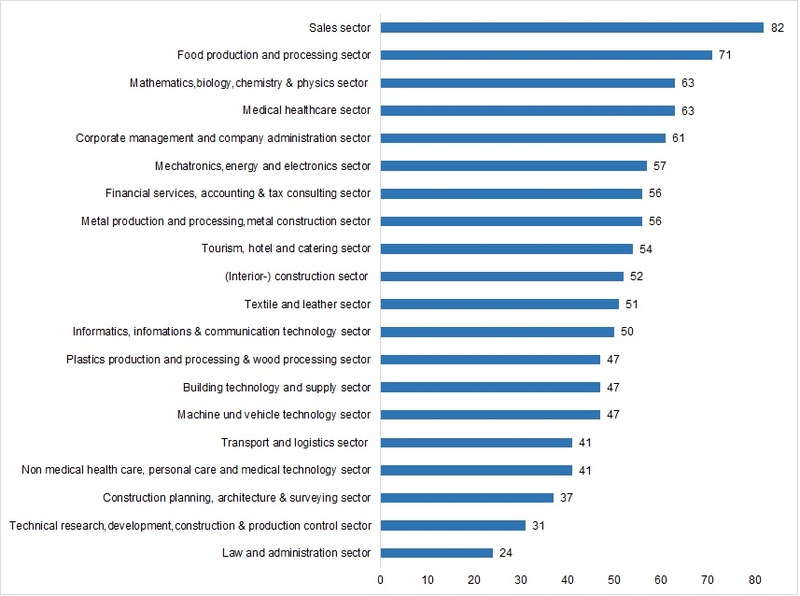 As shown in Figure 1, the proportion of applicants who received full equivalence is especially high in the sales sector. The share of those granted full equivalence makes up over 60 % also in the food production and processing sector, corporate management and company administration sector, in mathematics biology, chemistry and physics sector, as well as in medical healthcare sector. On the other hand, the success rate in the law and administration sector is extremely low due to significant differences in the law and administration systems among the countries. The success rate in the machine and vehicle technology sectorr, the technical research, development, construction & production control sector and the non medical health care, personal care and medical technology sector is not so low, but still below 50%. Professional groups with at least 50 applications processed. © Federal Statistic Office; BIBB. The number of applications submitted in Germany varies significantly by professional group. The majority of recognition cases is related to the regulated professions and, thus, health professions. 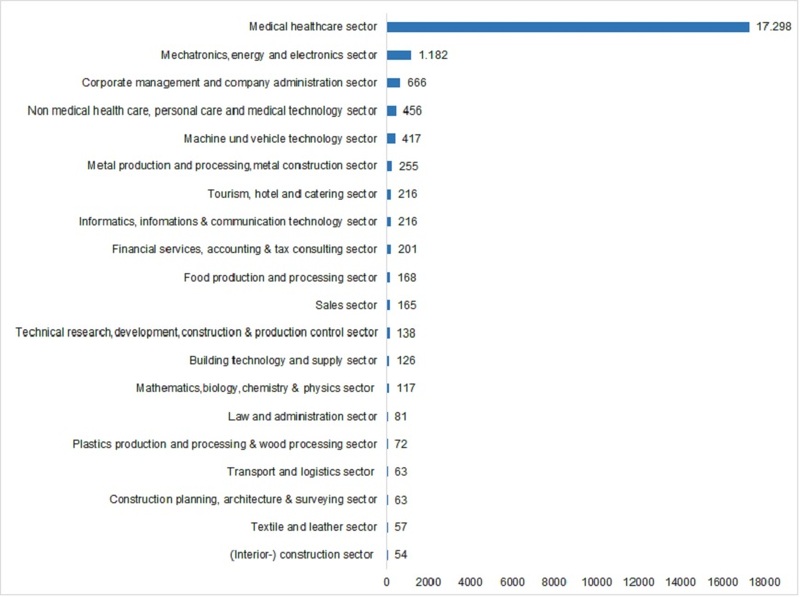 However, the share of applications submitted in mechatronics and electronics, corporate management and company administration, as well as the non medical health care, personal care and medical technology sectors is also high.